Above: (foreground) St. Francis Xavier Church, (left) Town Hall, (top) Fort Barlee. 60 years ago on September 27th Hurricane Janet hit Corozal Town with winds of 175 mph, one of the strongest hurricanes on record. The storm left 16 persons dead and more than $4 million in damages. Over 20,000 people were left homeless within the districts of Corozal and Orange Walk. 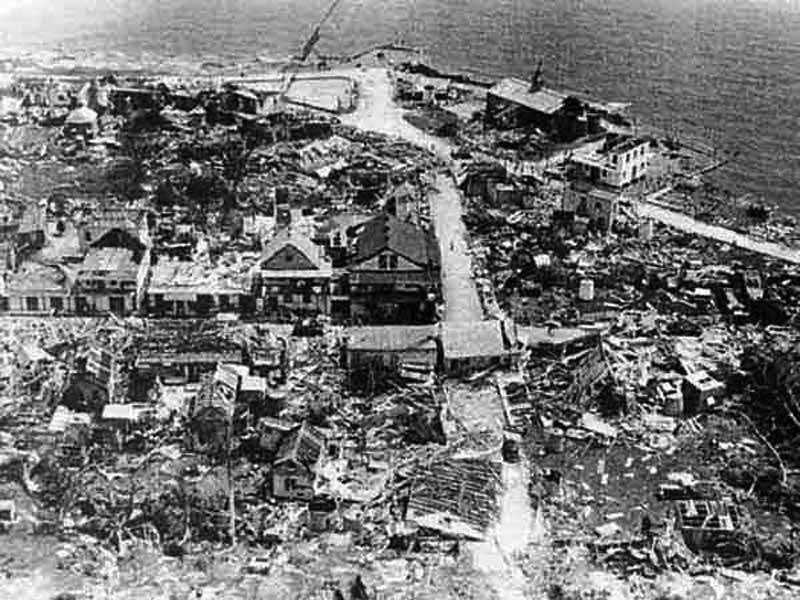 Hurricane Janet was the most powerful tropical cyclone of the 1955 Atlantic hurricane season and one of the strongest Atlantic hurricanes on record. September 27th 1955 will go down in the anals of history for the people of Corozal. Where were you when hurricane Janet landed its fury on Corozal and the southern Yucatan areas in 1955? 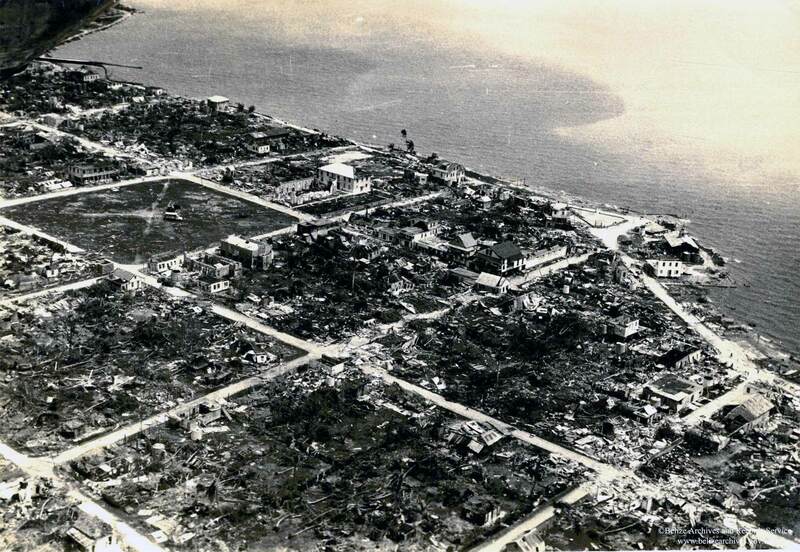 On the 27th of September, 1955, Hurricane Janet, not content with battering Grenada, turned Corozal Town into rubble. Only about ten houses were left standing. Winds of up to 175 miles an hour also crushed neighboring Chetumal, Mexico. For weeks the road to Belize City was littered with trees, shrubbery, and other debris. 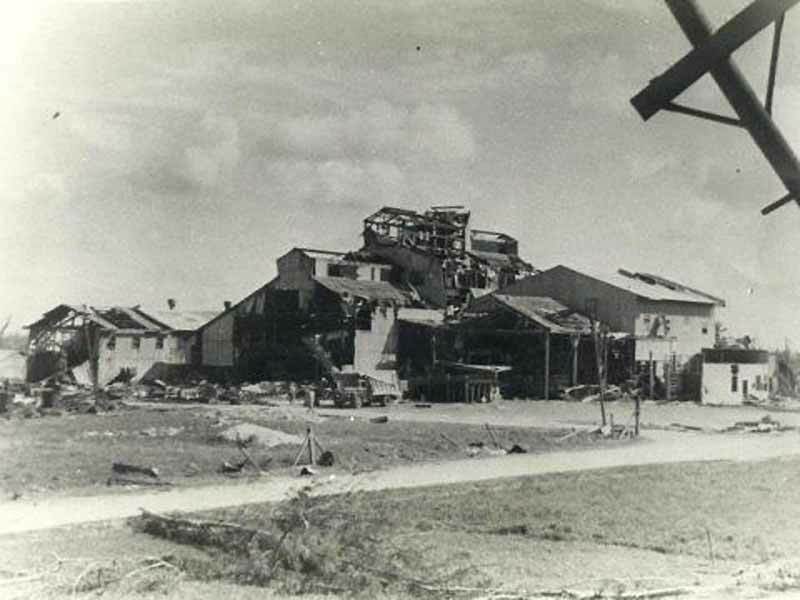 Hurricane Janet devastated Corozal Town on the 27th and 28th of September, 1955. It took the lives of 16 persons and caused almost four million dollars in damage. Though tragic, it also created an opportunity for rebuilding by a band of workers lead by Mr. H. C. Fairweather, who took a grant of 3.5 million dollars and created a new township, complete with modern electricity, water, and sewage. Thus Corozal Town may have the distinction of being the only community in Belize planned and laid out by professionals. Modern Corozal lies two miles across the Corozal Bay from the mouth of the New River, and 9 miles south of the Rio Hondo River (the border with Mexico) along Belize's Northern Highway. 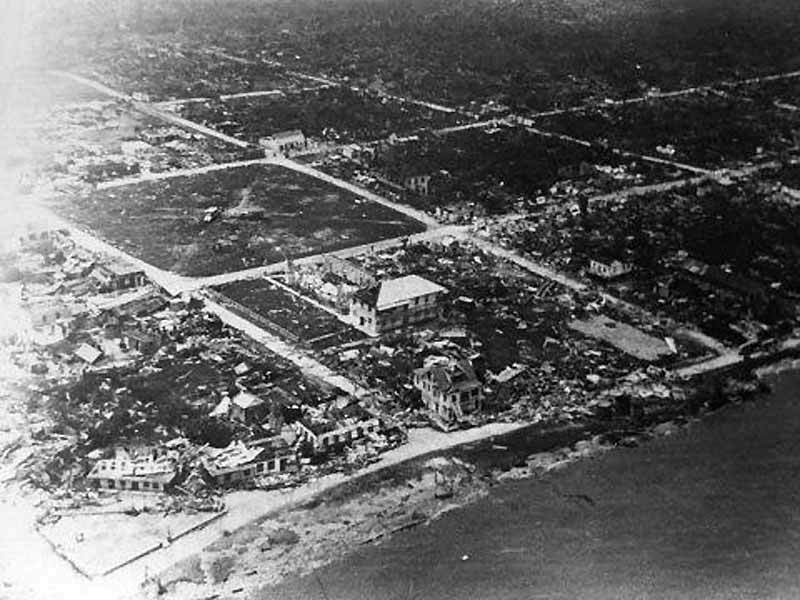 Pre-hurricane Corozal was very different, a mixture of large prosperous buildings and individual homes, some demonstrating extreme poverty. The hospital had been built in 1883 in the enclosure of old Fort Barlee. There was an old wooden courthouse by the main street, a post office established in 1879, the Savings Bank built in 1881, and the Customs Bonded Warehouse from 1886. The central plaza included the beautiful St. Francis Xavier Church built in Spanish colonial fashion. Post-hurricane Corozal Town is much different. It is a modern town laid out in a wider area. Up on Santa Rita Hill is a modern hospital and the town's water supply reservoir. On the site of the old hospital is now the concrete administrative building, with post office, treasury, and magistrate court. There are now many concrete buildings, several parks and playgrounds, and a new sea wall. One curiosity is that Hurricane Janet did not erase social boundaries. The unofficial divisions of the "Bacadia" area, the "Centro" area, and the "Barrio" area remained, and there is now perhaps another area called "Rainbow Town." Some Jesuit newsletters from that time recount the approximate damage to the Corozal District. "It says eighteen people were killed, 150 injured and 8 thousand left homeless with 95% destruction of buildings and a total loss of crops and livestock". Bishop Hickey's account reports: "all the dwellings in Corozal have been destroyed...only about 12 buildings remain...the only building left in Sarteneja is the school" And it adds, '40 Indian villages dotted over a thousand square miles, utterly flattened'. It's notable that in Janet one of the Nave Aircraft, the precursor to the hurricane hunters, crashed when it went into the storm. The newsletters further show the sister's convent before and after the storm as well as St. Francis Xavier Church, before and after. It also reproduces billboard headlines from that time. And for all the death and loss, the devastation of Janet was estimated to be $4-5 million at that time. Other sources report that approximately 20,000 people were left homeless in the entire country. 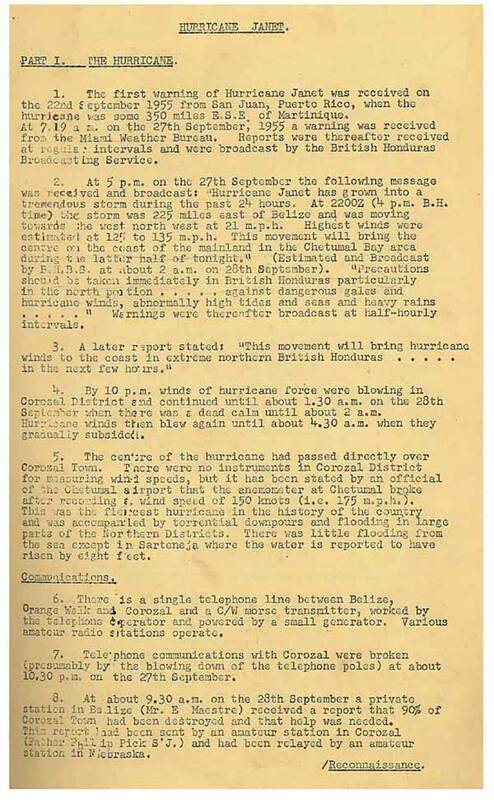 Archived Report 11th November, 1955:- " By 10:00 P.M. winds of hurricane force were blowing in Corozal District and continued until about 1:30 a.m. on the 28th September (1955) when there was a dead calm until about 2:00 a.m. hurricane winds then blew again until 4:30 a.m. when they gradually subsided". 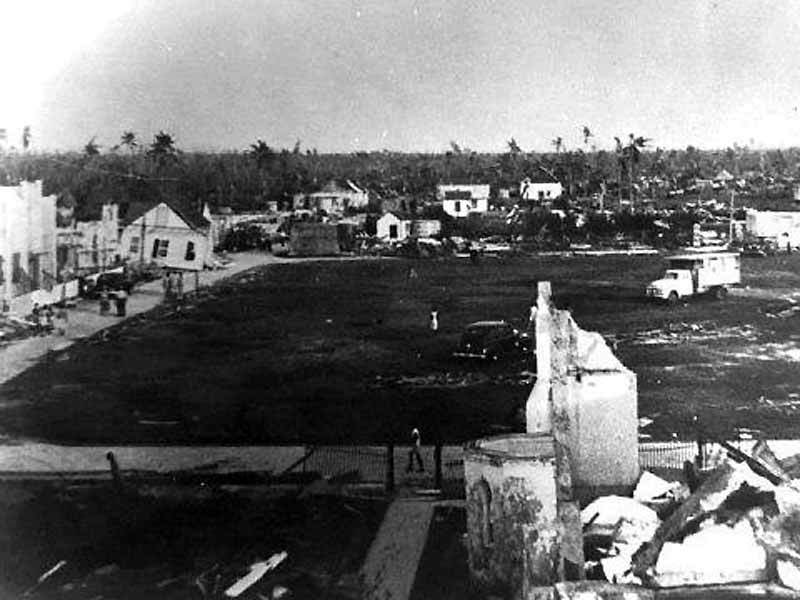 "The centre of the hurricane had passed directly over Corozal Town. There were no instruments in Corozal District for measuring wind speeds, but it has been stated by an official of the Chetumal airport that the anemometer at Chetumal broke after recording a wind speed of 150 knots (i.e. 175 m.p.h). This was the fiercest hurricane in the history of the country and was accompanied by torrential downpours and flooding in large parts of the Northern Districts. There was little flooding from the sea except in Sarteneja where the water is reported to have risen by 8 feet." Today aged over 70, Aida Garcia was 27 when Janet struck. She was a housewife in Corozal Town. She was sheltered at Santa Rita Hill at the rum distillery belonging to Mr. Luis Ramirez. She went to the shelter with her husband, Gregorio Garcia, and four children ages 5, 3, 1, and 2-month-old baby. She says that around midnight the ceiling of the building blew away and the people became desperate. Mr. Garcia overturned vats (wooden containers) and put his wife and children in them. The other men did the same for their families. They spent the rest of the hurricane inside those vats. There were some minor injuries but everyone survived. Emeterio Bacab, a cane farmer, was 21 when he heard there was a hurricane coming. He and his family started preparing their things and asked for shelter. He says no help was available so they stayed at their own little hut. When the hurricane started the wind blew very fiercely. They heard a loud noise when a neighbor's roof caved in. Mr. Bacab and his brothers went to help, and a post fell on Mr. Bacab's shoulder. He was taken to a shelter to be treated. After the hurricane everyone helped each other find missing persons and to recover what belongings they could. He worked very hard to get back the things they had lost. Maria Gomez, now a housewife, was about 12 years old, living in a two-story wooden building in Corozal Town. Her parents heard on the radio that Janet was coming, and took their family to the Corozal Town Hall. The wind got so strong that the walls were cracking and the building seemed about to fall. The wind stopped but the radio said not to come out until they said to do so. They ran out of fresh water and had to drink muddy water. Finally the radio said they could leave their shelters. Maria remembers that her father had gotten drunk, and told his wife to go home and make tea for all the people that had sheltered at the Town Hall. When they got home they saw their house on the ground with all the other buildings, and her father started to cry because they had lost everything. She said she still remembers it very well. Pembroke Hall Sugar Refinery, Libertad, 1955Carmita Garcia, now a housewife, was 10 years old when Janet struck Corozal. Carmita Garcia was one of many youths who had never experienced a hurricane. She remembers sort of hoping that the hurricane would strike Belize, not knowing the tragedy that awaited her family. She lived at Aventura with her father, mother, three sisters, and one brother. They heard over the radio that the hurricane would strike and they all made preparations. Carmita's father told the children not to run outside for any reason, even if the house was falling on them. The hurricane arrived and the Garcias were sleeping while the winds blew stronger and stronger. The house was falling on them and their father told them to go under the bed, but the wind opened the door. Carmita and her other little sister panicked and ran outside for safety, not realizing that they were endangering their lives. The wind blew Carmita about six miles from her house into a big hole in a tree trunk. There she spent many hours of hurricane, wind, thunder, and lightning. Her other sister, Linda, was also blown away by the wind but she was stuck to a big tree trunk not far from the house. A piece of a zinc roof covered the opening of the trunk where she passed the rest of the hurricane safely. When whe hurricane was over, everything had been destroyed. Carmita's parents and friends began look for the girls, and Linda was found that same morning. But Carmita was not found until the seventh day of the search. She remembers that an old man with a big hat took care of her. When she was found she had on her waist nine corns and two squash cups called "leke" in Mayan. The bush doctor told her that it was the Tataduende who took care of Carmita. She is presently living at San Jose, Orange Walk District, with her husband, nine children, and many grandchildren. Felipe Loria Felipe Loria, a farmer from Xaibe Village, was 30 during Hurricane Janet. He says that recently, when Hurricane Mitch was threatening Belize, he heard youths talking about waiting to experience the hurricane. He said these youths did not have the slightest idea of what a hurricane is. He prays to God never again to experience one. Mr. Loria can recall when he and his wife and four children went to shelter at the only safe place in the village which was the church. At that time Xaibe was very small and only a few people lived there. Everyone sheltered at the church for safety. Before the hurricane started the wind was calm, but soon it became so strong that most of the windows of the church were blown away. About ten men were holding the front door to keep the wind from taking it also. Then the door came loose and the wind blew it away along with the men who had been holding it. Everyone in the church began to pray. AFter the hurricane the only building left standing was the church, but without windows or doors. No one was killed but most of the men were injured. There was no shelter, food, or water left to drink. All the trees had been blown down and you could see the sea from the village. For a few more photos, and lots photos of old newspaper articles, click here and . 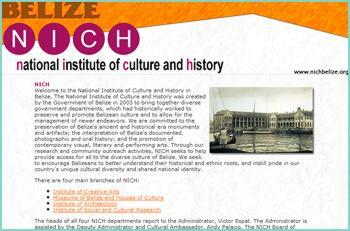 Images courtesy of the Belize Archives and Records Service.